cleansing and clarifying: I've done it. 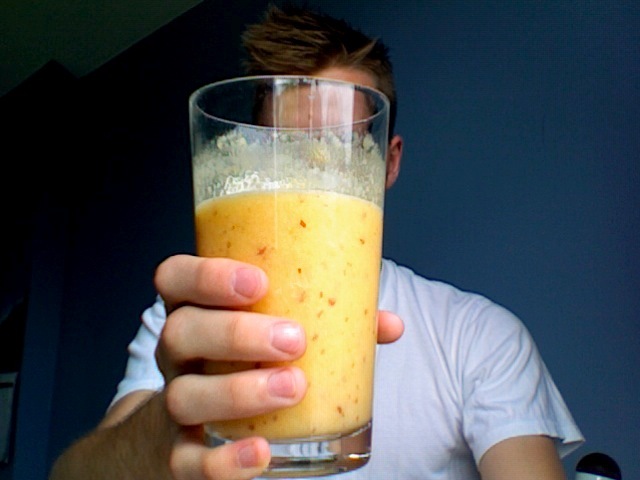 Well, what can I say, I've just made the best smoothie in the world. Objectively. I couldn't even wait to take a picture of the full glass. It's that good. It tastes exactly like a Jugo Juice, a place Meagan and I are probably going today. How can you not go to Jugo Juice, in general? A definite new favourite store in the mall. For now, we will watch Into The Wild. Ta ta.